Noe Caffese began diving at the age of 11 years old, he was OPW certified at the age of 15 (he is 32 now), at the age of 21st he was certified as a Dive Master in Venezuela. And at 22nd he became as a Diving instructor. He have worked as a diver in Honduras, Colombia, Panama, Costa Rica and Mexico. Today, he is a partner of Eyal Levy in Agua Clara Diving Tulum, diving courses, diving trips and eco tours. Agua Clara Diving Project was born on December 2012. They began to focus on two main values ​​that are still maintained now: 1)Offer a personalized service and 2) Taking care of the environment. For the first moments of Agua Clara, the ecotours were the most requested services but currently the diving has taken more and more protagonism in the daily activities. In addition to being lovers of diving, Noé and Eyal have devised a perfect Tulum map to do the activity. Tulum is an exceptional destination. On one hand, it has the largest ruins over the ocean. It has the Sian Kaan biosfere, which is the largest reserve in the entire state of Quintana Roo. And also, Tulum is also facing the second largest coral reef in the world, but something that is unique: there is full of spectacular cenotes to dive (adds Noe). 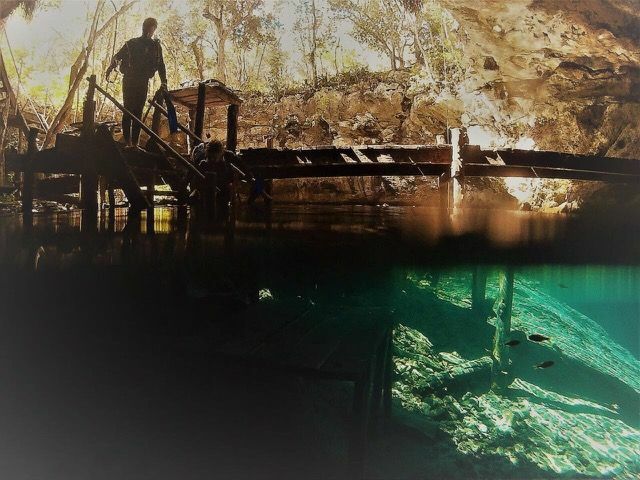 The first diving experience can be done in a place like Casa Cenote, which is also great to learn snorkeling. It is a natural pool and a unique ecosystem in the world. The second dive can already be done in the ocean. The natural benefits of Tulum are countless and getting to know them through diving and ecotours is an unparalleled experience.